We provide several ways to help Running Clubs get renewals. 1. Automated Email Notifications. 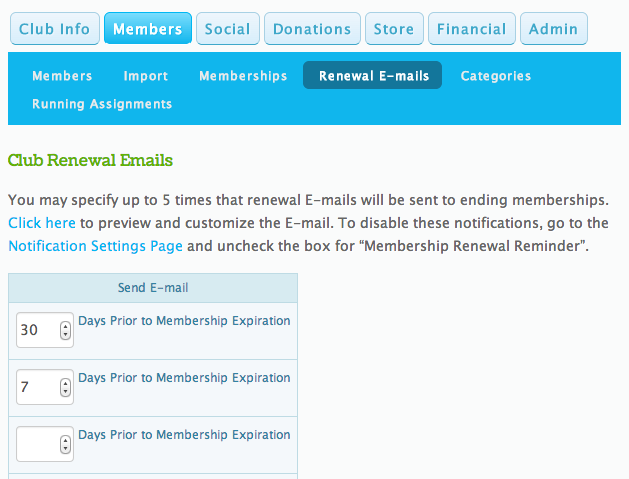 You can set up to 5 emails to be sent to each individual that has an expiring membership. You can modify the email that is sent out to have your own custom message in addition to the standard info and links we put into the email. You can set these to go out automatically any number of days before and after the expiration. We default to an email 30 days before and another one 7 days before. 2. Integrate Club Membership into a Race Registration. If your club organizes races, you can have registration on RunSignUp. You can offer club members a discount when they sign up for the race. We automatically detect if a runner has an expired membership and offer them a way to renew with the club. This also works for non-members so they can be encouraged to join the club and get the race discount. Read more here. 3. 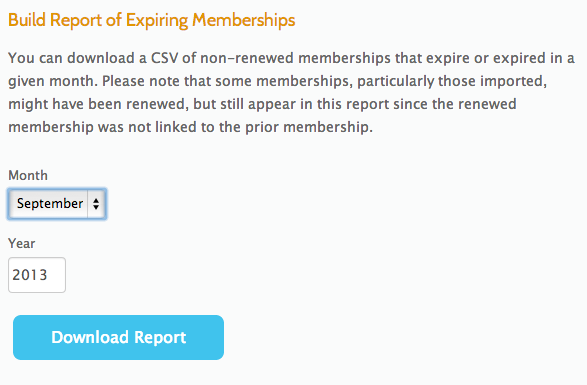 Expiring Member Report. In addition to the Membership Report, we have added a simple way to download a list of all members who are expiring in a certain month. This is available underneath the nice Club Membership Graphical Reports. 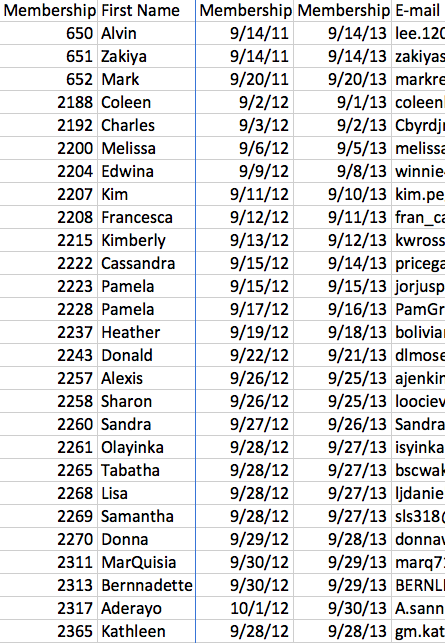 The CSV looks like the screen shot below, with full member information (cut off for privacy).